The “MOOC Dys” project is on its way. Today, we propose a questionnaire to better understand your needs and expectations as parents or teachers of children with specific learning disorders. Previously, I have written an article about this project of MOOC on specific learning disorders. This MOOC aims to be a participative and collaborative open course. And, above all, we aim to meet your training needs and expectations. Therefore, we want your opinion and participation on each step of this course design. The results derived from the questionnaires will help us design an online training course that will match your needs and expectations. We are going to draw a profile of the parents and teachers. 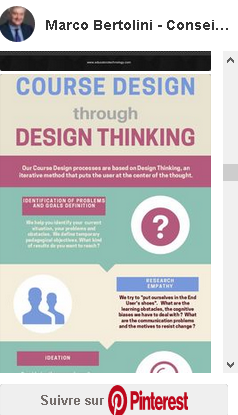 Using that profile, we will then design the structure of an open online course. Of course, we will also consult you on the course structure : which will then be our next step. The MOOC will officially be released in mid-October 2018. We have chosen the Course Networking platform to place that course on line. 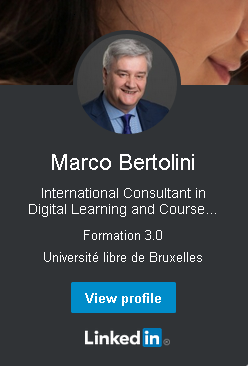 The Course Networking is a global learning solution, comprising a learning social network, a LMS (Learning Management System), a lifelong learning ePortfolio and is entirely gamified : you receive badges, points and certification that you can exhibit as evidences of your academic achievement. Nonetheless, we have chosen that solution specifically for its collaborative functionalities: each participant is able to write his/her own blog posts, able to like and comment other participants’ blog posts, can create his/her polls events either online or offline. A solution that matches all our expectations for a really open and collaborative online course. How to access the questionnaires? Then click here to access the parents’ questionnaire. If you are a teacher and have children with specific learning disabilities such as dyslexia, dyscalculia, dyspraxia, etc. Then you can access the Teachers’ questionnaire. And what if you are both parent AND teacher of children with specific learning disabilities? Feel free to fill in both questionnaires ! What are we going to do with your answers? As soon as we gather all your answers, we’ll then apply them to elaborate the free and open online course Mooc Dys. I’ll inform you what those results be in my next article. Thenceforth, we’ll propose a course structure that takes all your expectations into account. You can register on our Facebook Page for all current updates regarding our activities. And if you haven’t done it yet, you can also register at our newsletter which constitutes a pre-subscription to our free and open online course. The project is funded with the support of the European Commission. This publication is the sole responsibility of the author and the Commission is not responsible for any information contained therein.